While Ethereum has been the platform of choice for writing dApps, Stellar arguably has really low transaction fees and is much faster than other blockchains (including Ethereum). Let’s see how we would go about implementing that. First, we need to create an account on the Stellar testnet. What’s a testnet? In the simplest terms, it’s a blockchain intended for testing where you don’t incur any real fees. In this case, we’ll load up our test account with 10k fake lumens for testing. Next, we will build a small JavsScript client which will allow the user to submit their post on the app. We could directly take this post and have the user send it to our app’s account by putting it in the transaction’s memo field. Although it turns out Stellar’s transaction only allows limited memo formats - Text (UTF-8 string of up to 28 bytes), ID (Unsigned 64-bit integer) or Hash (32-byte hash in hex format). So storing a large amount of text or JSON is out of the question. That’s where IPFS comes in - a P2P protocol and network designed to store and share content in a distributed file system across all devices (think of it as a love child of git and BitTorrent). We would take that data and store it in a JSON object in the IPFS. Now we have a hash small enough to send in the memo field. Although looks like there might be another issue. IPFS represents the hash of files and objects using a Multihash multiformat with Base58 encoding. The prefix Qm corresponds to the algorithm (SHA-256) and length (32 bytes) used by IPFS. So it looks like we are not going to be able to add this in our transaction’s Text field which only allows strings of up to 28 bytes nor are we able to use the Hash field which only allows 32-byte hash. // Yes, it made it on the blockchain! That will open the MetaPay popup with all the prefilled fields, we will wait and see if the user goes through with that transaction, if they do, we move to the next step. Notice when we added our data to IPFS, we didn’t pin it. Without pinning the post, our data will not be stored permanently on the IPFS node and will eventually be garbage collected. So in a way that small transaction fee helps us pay for pinning the data / the cost of running an IPFS node and make sure the data is available for all users. This architecture makes sure our data is decentralized but what about the app itself? If the app goes down, users could write another client that can read from that account’s blockchain and pull the corresponding data from IPFS. Although we could go one step further and actually store the client code on the blockchain as well by utilizing the manageData account operation. Although something to keep in mind, each DataEntry increases the minimum balance needed to be held by the account. So we might want to only maintain the last version or the last couple of versions of the client codebase on the account. But that should suffice to make our demo app more or less decentralized. This was an interesting thought experiment but this demo app still does not have a way to manage comments, upvotes, etc since we are somewhat limited by what the Stellar platform is capable of. To build something more advanced we’d need to build it on a true dApp platform like Ethereum or NEO that have all the necessary tooling to make that happen. But with the recent controversy of Facebook data and user privacy, it’s definitely time to think about how to build social apps that are decentralized. There’s a lot of interesting work done in this space with projects like Datawallet, Blockstack, Akasha and others which will be interesting to follow in the coming years. We have all heard of the MEAN (MongoDB Express Angular NodeJS) stack or more lately the MERN (MongoDB Express React and NodeJS) stack. There are plenty of starter kits utilizing those stacks although I was looking for something similar but with a couple of changes. I wanted to switch out MongoDB with PostgresSQL because it’s a workhorse that can do just about anything and switch out React with VueJS because I find Vue much more approachable and beginner friendly. I didn’t find anything like that out there, so I ended up creating one myself. Lets call it the PEVN (PostgreSQL Express VueJS NodeJS) stack, I know…0 for creativity! I spent couple of hours getting everything working like how I wanted it to. I documented the process to save the trouble for anyone looking to do the same which you’ll find below. Now that we have a basic app, let’s get to the fun part. We will treat each Express view as it’s own VueJS app (MVVM pattern) which will grab the data it needs from the DOM and/or making AJAX requests to the server. So for this example, given we have views/index.jade we will want to place it’s associated VueJS app and styles in client/css/index.css, client/js/index.js and /client/js/Index.vue such that when that Jade view is rendered, it will run the Index Vue app. Don’t worry about the logic to display the list of visitors just yet. We’ll get to that in a minute. 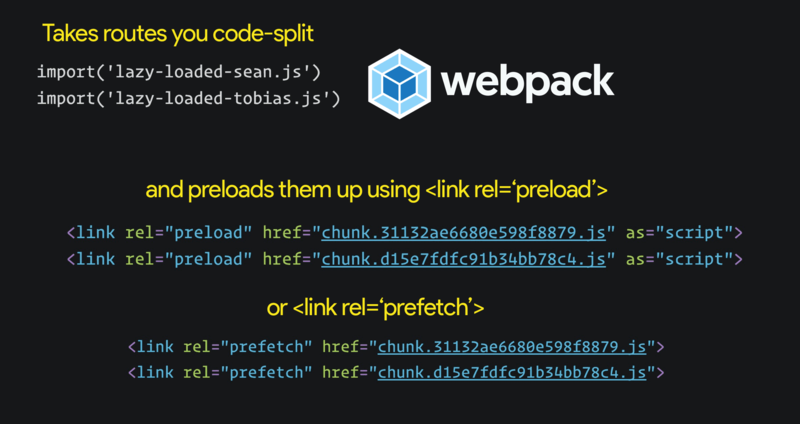 Our Webpack config will make sure the assets in the client folder get compiled into a compressed JS and CSS package with a cache busting hash filename. "restart": "osascript -e 'display notification \"App restarted due to:\n'$FILENAME'\" with title \"nodemon\"'"
With the cryptocurrency space being white-hot I’ve been very curious and learning all that I can. What better way to understand the core concepts than to start at the root of how cryptocurrency is generated aka mining. So here’s some of what I’ve learned in the process of doing just that, hope you find it useful! In the simplest terms, the act of mining serves two purposes. One, the miner is essentially providing book-keeping services for the crypto’s public ledger aka blockchain by taking recent transactions every few minutes and writing them onto a page of the ledger referred to as a “block”. Although miners have to solve a puzzle / cryptographic function to be able to add their block to the blockchain, whoever is able to do this first, is rewarded with some crypto in exchange for their services. This brings me to the second purpose, the crypto which is rewarded is considered “mined”. This is essentially because it is new currency that’s released to the network. All cryptocurrencies have a fixed number that is set to release to the network through this mining process. As that unreleased currency dwindles down, miners are then incentivized by a reward attached to each transaction in the block. So the transactions that include this reward i.e transaction fee are likely to be processed faster. Now that we understand the high level concept behind mining, let’s figure out what to mine. Naturally, BTC (Bitcoin) or ETH (Ethereum) would be our obvious candidates as they are the most well known and popular currencies at the moment. Although the issue with both is the fact that they are not very profitable to mine using a basic CPU or GPUs. If you are starting out, I’m assuming that’s pretty much what you will have access to. In most cases, the popularity of a currency has a direct correlation with it’s mining difficulty. The more miners that join the pool, the faster new pages are written on the ledger. To keep the number of pages created steady, the difficulty of the puzzle is increased at a regular interval. So out of the top 10 currencies on coinmarketcap.com, the best candidate for CPU or GPU mining would be XMR (Monero) since it’s based on a proof-of-work algorithm called CryptoNight which is designed to be suitable for ordinary CPU and GPUs and is resistant to mining with special hardware i.e ASIC. So having said that, let’s pick XMR. 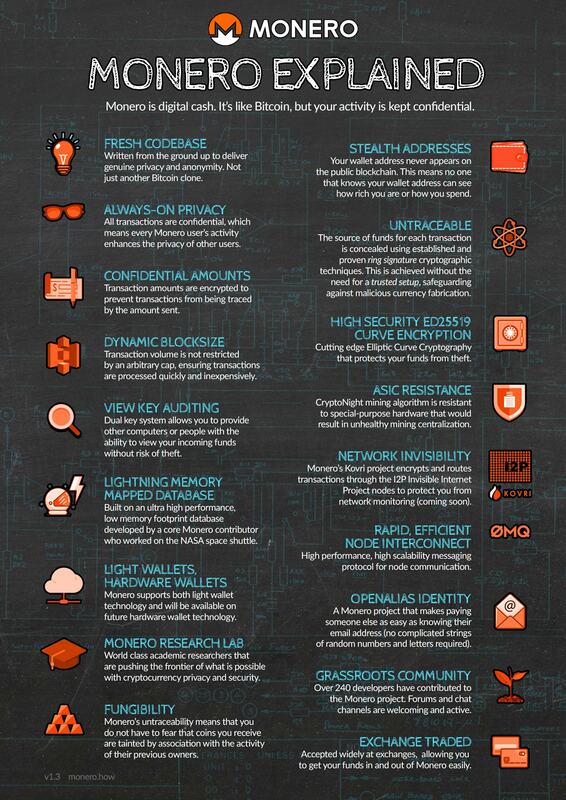 If you need some more convincing, here’s a good list of why XMR is a good bet. So the next thing we’d have to figure out is where to store the proceeds from the mining. For XMR, the options are somewhat limited since it’s still a currency in development. The best bet would be to download & install the official wallet. Alternatively, you can setup an account in one of the online exchanges like Bittrex or Kraken and use their built-in wallet, although it’s not recommended to use that as a long term storage for large amounts of currency. Once you have this setup, take note of your wallet’s address. We will need this in the next steps. So while XMR is friendly to solo mining, the chances of earning a reward are low. So in order to boost our chances, we’ll want to share our processing power in a network of other miners. We can then earn our reward according to the amount of hashing power we contributed towards creating a block. There are several XMR mining pools that you can choose from this list. I would recommend sticking to xmrpool.net if you are in US or moneropool.com if you are in Europe. Both have a good balance of # of miners and the hash rate. You don’t want to join a pool with a lot of miners because your earnings can get very diluted, you’ll want to stick to a good balance between hashing power and the # of members in a pool. So now we are finally ready to start mining. We have two options, we can either use the CPU or the GPU to do the mining. Let’s look at both the options and how they work. Again huge thanks to ServeTheHome for providing images for Nvidia GPUs which makes GPU mining super simple without having to install CUDA dependencies on your machine. Although what you will need to install is nvidia-docker so the Docker container can utilize your GPU. If you have multiple GPUs you will need to add NV_GPU=0 prefix as shown above and spin up additional containers for each GPU you want to target. If you only have one, you can skip the prefix and explicit names. Depending on your hardware and pool you might have to wait a day or so to see some rewards come your way. You can checkout this calculator to figure out what kind of return you can expect based on different variables. Your best bet is to run this on a spare machine and leave it on for few days. You are probably not going to become the next crypto millionaire but it’s an excellent opportunity to learn more about the crypto space and Docker containers. May the odds be with you! As one of the Rails projects I’ve been working grew in size in terms of the number of lines of code as well as the number of people contributing code, it became challenging to maintain consistency in code quality and style. Many times these issues were brought up in code reviews where they should be addressed well before that so the discussion in code reviews can focus on substance and not the style. So having said that, I wanted to setup an automated way of fixing stylistic issues when the code is checked in. Here’s how I went about setting that up. 1) Bash Script - You can manually save a bash script as .git/hooks/pre-commit and give it execute permission. Downside of this approach is that you’d have to have every member of your team do this manually. Also if something changes in the script, everyone would have to repeat the process all over again. It would quickly become unmanageable. 2) pre-commit - This is a very robust framework built in Python to manage git hooks. I really like everything about it except the fact that for RoR projects, it adds another language dependency on the local environment in addition to Ruby and NodeJS. Also again this is something the entire team would have to install manually (albeit only once per environment) to get it up and running. I would definitely recommend it for a Python project. 3) overcommit (Recommended) - This is another excellent git hook manager very similar to pre-commit but written in Ruby. It has a ton of built-in hooks for formatting Ruby, JS, CSS and more. It’s virtually plugin and play and perfect for a project if it doesn’t have a NodeJS build pipeline setup. It will help you avoid introducing another language dependency. Although for the purpose of this blog post, we’ll use the next option. I’ll recommend checking out this blog post if you want to use this option. 4) husky & lint-staged (Recommended) - These two NodeJS packages act as a one-two punch. Husky lets you specify any script that you want to run against git hooks right in the package.json while lint-staged makes it possible to run arbitrary npm and shell tasks with a list of staged files as an argument, filtered by a specified glob pattern on pre-commit. The best part, once this is setup, your team doesn’t have to do a thing other than run yarn install. Lastly create an empty .lintstagedrc file at the root, this is where we’ll integrate with the various linters we’ll talk about next. 1) StandardJS - This is the most opinionated framework out there and also very popular. It has excellent IDE integration and used by a lot of big names. Although having said that, we didn’t agree with some of it’s rules and there was no way of changing them. It is really designed to be a an install-it-and-forget-it kind of a linter which wasn’t quite what I was looking for. 3) ESLint (Recommended) - After trying both of the above mentioned linters, I ended up settling with ESLint primarily for the fact that it let us tweak all the options exactly per our needs. The flexibility and extensibility of this framework is impressive. I went with setting most of the rules as non-blocking warnings since we were dealing with some legacy code and wanted to reduce developer friction as much as possible. Also here’s a list of all the auto corrections RuboCop is able to do when the -a / --auto-correct flag is turned on if you need to add/change any more rules in that file. So now that we have Ruby and JS linting squared away. Let’s look into how to do the same with CSS. 1) sass-lint - Since we were using SASS in the project, I first looked at this package. Although quickly realized there was no option for auto fixing available at the moment. There is a PR which is currently in the works that is supposed to add this feature at some point. But for now we’ll have to look somewhere else. 2) stylelint (Recommended) - Ended up going with this option because of its large ruleset (150 at the time of writing) and the fact that it is powered by PostCSS which understands any syntax that PostCSS can parse, including SCSS, SugarSS, and Less. Only downside being the fact that auto fixing feature is experimental but it’s worth a shot anyway. Again this is a very configurable package with a lot of options which you can manage in a .stylelintrc file. To being with, I’d probably just recommend extending either stylelint-config-standard or stylelint-config-recommended presets. As far as templating engine goes, our project uses HAML but unfortunately I couldn’t find any auto formatting solution for it. haml-lint has an open ticket for adding this feature but it seems like it’s not very easy to implement. So until then you have the option to just hook up the linter so it can provide feedback about your markup which you would have to manually correct. That’s all folks! In a few weeks since hooking up the auto formatters our codebase has started to look much more uniform upon every commit. Code reviews can now focus on more important feedback.